My best pick for this month's gluten-free goodies from Glutino includes cake mix, cookie mix, cupcake mix, brownie mix, chocolate cream cookies (which is not in the photo since the kids have opened it up as soon as it arrived), chocolate wafers, pretzels, and chips. I will be busy baking this month since I got most of their baking mixes. Baking is not my cup of tea but I like how simple the recipes are in the back of these boxes. It is easier for a non-enthusiast baker like me to make them. 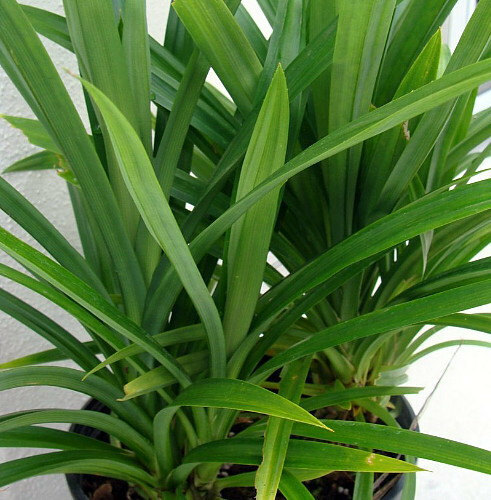 For those of you who do not know what pandan flavoring is, Pandan (Pandanus amaryllifolius) is an Asian herb in the Pandanus (screwpine) genus, which is commonly known as pandan leaves and is used widely in Southeast Asian cooking as a flavoring. We used to put this in the rice when we cook it as it gives that very appetizing aroma to the rice, kind of like the smell of a jasmine rice. In a large bowl or mixer, beat the butter until fluffy, scrape the bowl. Add the sugar cookie mix. Mix to combine the two. Add eggs and the pandan (or vanilla and food coloring if you desired) Mix thoroughly. Roll into 1 inch balls. I used my cookie scooper. Add sprinkles on top. I tried to roll it into the sprinkle but it is too much so I decided to just sprinkle some on top. Set 1 inch apart on a lightly greased or parchment paper lined cookie sheet. I also sprinkled some powdered sugar. My boys have sweet tooth so they thought these cookies aren't sweet enough. Needless to say, they ate it all. Thanks again Glutino! I will be baking the cupcakes next, maybe this weekend with the help of the kiddos. Those cookies sound really good. They would be fun to make for my cookie exchange next week. My son would LOVE these cookies just because they are green! We are not a gluten free family, but I have a lot of friends who have to be. Those cookies look delicious. Matcha has really made gluten free delicious. I've got to try them. Wow these do sound really good. It would be fun to make these for a cookie exchange! Those look good. More and more people are moving towards being gluten free, and I think it is a wise idea. Glutino has some wonderful products. I was using thee for quite awhile when my husband was trying to loose weight. This is a good and honest review. I love gluten-free food products as it tends to be healthier. Gluten free cookies?! Me and my family are going to have to try these, and add some different colors to them just to make it fun like you did with the green. The cookies look amazing. I love using the Pandan extract to flavor my cookies and cakes. Green blueberry cookies? They look interesting and I bet they taste yummy! Great recipe! wow... this recipe looks awesome! Sounds pretty healthy and unique! I am always looking for new gluten free products. These cookies look so delicious. I eat gluten free and these all look like tasty products. I may have to pick some up and let me daughter have some too. I think she would love them! I love the idea of matcha in cookies! I love using it in my smoothies, now a reason to have an extra cookie. I totally am going to have to try and make these! I'm gluten free and its hard to find good stuff! I've been researching a gluten-free diet for my son (with apraxia) and me (with pcos). Sugar cuties will make the change all better! Those look so delicious and tasty. I can't wait to get the kids in the kitchen to try these. Abby has to eat gluten free so we all do. I love that there are so many gluten free options that taste good now. These look really yummy. I've always wanted to try matcha, but I haven't yet. Thank you for the idea to use it in some cookies! I love how many different gluten free options there are today. I'm not gluten free myself, but I do have family and friends who are. Oh wow, these look like something that I would love to try. I haven't had a flavored matcha tea powder or drink yet. These would be an awesome treat for my son who is gluten free. I in fact love the taste of gluten free foods and I haven't used matcha yet so I will have to make these for the holidays. Thanks for sharing. Those look amazing! I have to find something easy to bake that even I can make!